Nemesea are a Dutch Rock band and consist of Manda Ophuis on vocals, Hendrik (HJ) Jan de Jong on guitars and Sonny Onderwater on bass. 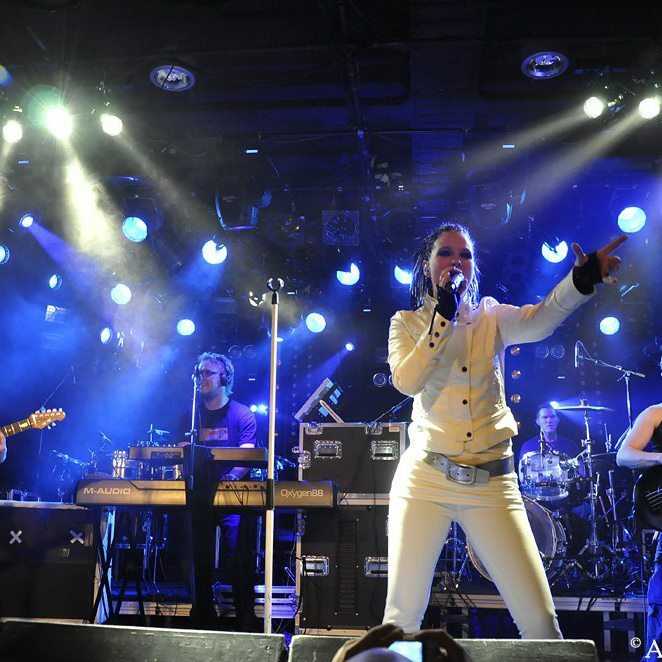 They were formed in Groningen, Holland in 2002, and were originally a Symphonic Rock act, but have more recently become a harder Rock band with some electronic influence. They have released 4 studio albums and one live set. 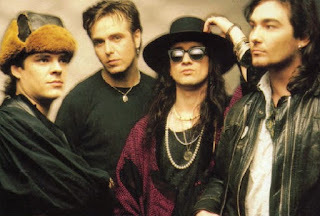 In 2003 they supported After Forever and having been their support act for a year they were spotted and signed for independent record label Ebony Tears with which they released they debut album, "Mana". I first saw the band on the video to "No More" from the album "In Control" and thought it was a great Rock track. This stunning red haired female singer belting out a storm with an energetic, powerful band of musicians behind. It reminded me a little of the 80s Rock videos by Heart for instance, with the misty video shooting. It peaked my interest and I wanted to hear more. "Mana", the debut album from Nemesea was released in 2004. As previously stated this was a Gothic and Symphonic Rock extravaganza. Varying from similar sounds to Heart, Within Temptation, Nightwish, Marillion and Evanescence. It seems to me like it was a brave first album. It included a mini saga called "Mortalitas" which comprised of four parts and was similar to the offerings of Marillion in the 80s, only a little heavier sounding. It contained mystical instrumental parts, sporadic operatic vocals and medieval chants. It worked! My favourite is "Angel In The Dark" with a beautiful vocal performance by Manda with Evanescence -like light percussive backing. "Lucifer" is also a top track, with its rapid string segments and Heart-like vocals. "Beyond Evil" exploits Manda's vocal range to the limit and is a gorgeous song with great guitars backing her amazing voice superbly. A lovey ballad exists on this album too enttiled "Cry", such a soft, mesmerising sweet gem. 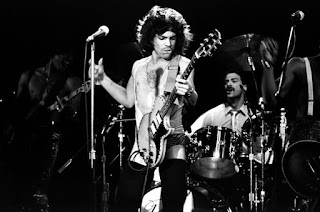 In 2007, the second album emerged, "In Control", the recording was funded by "followers" through the independent Sellaband. Their association helped them to get producer Tony Platt on board (Iron Maiden, Motorhead, AC/DC) and mixer Ronald Prent (Within Temptation, Rammstein, HIM). This album, apart from the ironically titled "Remember" pretty much ditched the Symphonic Rock of their debut in favour of a more 80s-inspired more poppier Rock, still with the metal background but with more catchy choruses. "Lost Inside" and "Like The Air" are reminiscent of this. There are more unusual songs to, which kind of encaptures the versatility of Manda's vocals. "Home" for instance, at certain times sounds like Olivia Newton-John, imagine her with a heavy Pop/Rock backing and you will get my meaning! Also, on the beautiful "Broken" there are hints of the Welsh Classical singer Katherine Jenkins, it sound weird in theory but the song is very powerful and emotive. Add early Heart with the song "Never" and you get the idea that this is a very experimental but varying set of songs! After releasing the live album "Pure Live @P3" in 2009, the third studio album "The Quiet Resistance" arrived in 2011. This was a more Electronica infused album with great harmonies and keeping elements of the previous two albums to make a more unique sound showing that the band were brave enough to evolve with each album. "Whenever" reminds me a little of Meredith Brooks or Alanis Morissette while "If You Could" could match any of the young Pop/Rock crossover female artists such as Pink and the like. 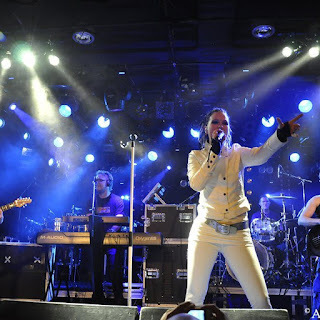 "Say" is a favourite of mine, a heavier Rock sound with a hint of Pop, and "Stay With Me" includes all the Symphonic Rock, Gothic Rock, Electronic and Pop all rolled into one for a superb track. "Rush" is a great fast paced rocker with a little of everything too, all in all, Nemesea are changing faces more than an impressionist before your very ears! The 4th album, "Uprise" has just been released this year and the band seem an accomplished Rock band now and have an eclectic variety of tunes to choose from. They have certainly evolved, this album is superb all round, how I haven't heard of this band in England is a mystery. They shoud be a global hit by now. A few of my favourites here include "Forever", "Twilight" and "Time To Make It". Catchy choruses, hard rock guitar riffs, mega vocal ranges, chants, harmonies, Electrical and Symphonic hints, this album is a great listen. "Can't Believe It" has a great guitar backing which reminds me of The Cult, while "Light Up The Sky", for some reason, reminds me of Snow Patrol with its beautiful soft sound. "Get Out" is a Punk Rock style foot tapper and the album also includes Acoustic, Alternate and Orchestral songs to wind down the album.